“Malibu” Chuck Aaron is the first - and only - civilian pilot ever to be licensed to perform helicopter aerobatics in the United States. In fact, he’s one of only three pilots permitted to execute the dangerous maneuvers internationally. 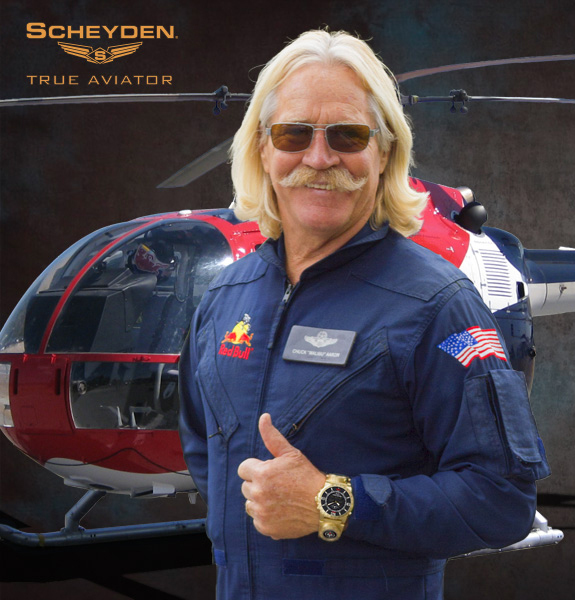 Chuck's outstanding performances have garnered him serious recognition: He has received the 2014 Helicopter Pilot of the Year, the Art Scholl Showmanship Award, and was inducted in 2011 to the prestigious Society of Experimental Test Pilots.